Home / Explore / Do I need to stain my timber shed? 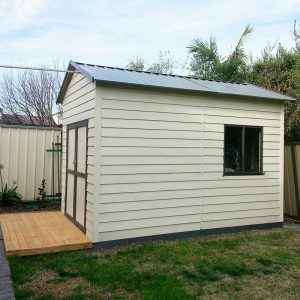 One of the common questions we get when people are looking to purchase a timber shed or a cubby house is whether the treated pine needs to be stained or painted to protect the wood. Unlike steel, timber is a natural product that is impacted by the conditions in which it is exposed to, and therefore does require maintenance in order to keep it in good condition. If left untreated there is the risk that the timber turns grey and it may also lead to some splitting. We do highly recommend people consider our staining service, in which the timber is fully immersed in our stain tank, covering all of the timber, including the little nooks and crannies in corners and other areas. We use a water based stain that is extremely safe for your family, pets and the environment. The stain will help maintain the timber in our harsh Australian conditions. We recommend that customers reapply a similar stain every couple of years to help maintain the structure. Painting the shed or cubby will also have a similar desired effect. We have received many images back from customers who have painted their shed. They look amazing once painted while also having the dual effect of protecting the timber as well. If you were considering using your timber shed for a special purpose, such as an art studio or teenage retreat, and want to really ensure the timber is protected well, then we recommend getting it stained prior to you painting the shed. If treated correctly and painted well they do look incredible! 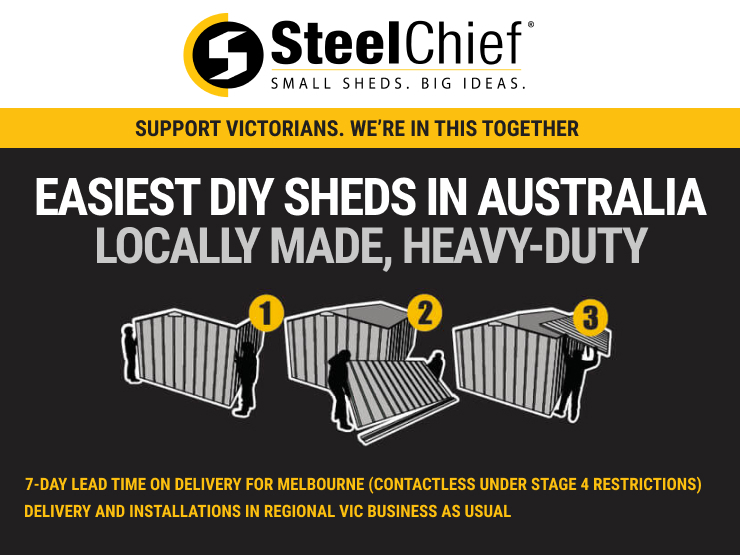 So get your next project started today and insist on a timber shed!